I’ve been struggling to find the time to sit back and actually enjoy the allotment this year, what with a busy work schedule and trying to fit in visits to Wales too. Thankfully that’s all changed since my Gardena Aquazoom Sprinkler arrived on the plot and it’s made such a big difference. 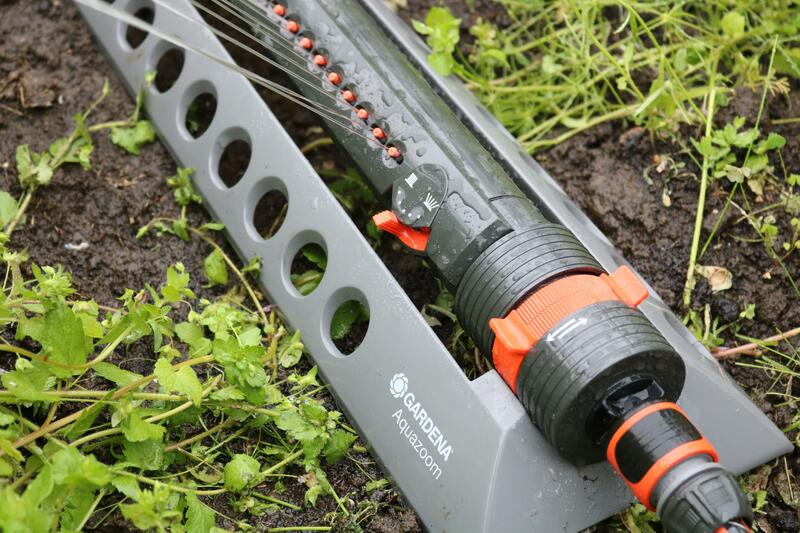 Now I can simply connect the sprinkler to the Gardena hose trolley and sit back whilst the allotment waters itself! Of course I don’t always just sit there watching the sprinkler do all the work… this spare time also allows me to tick so many more jobs off the list. 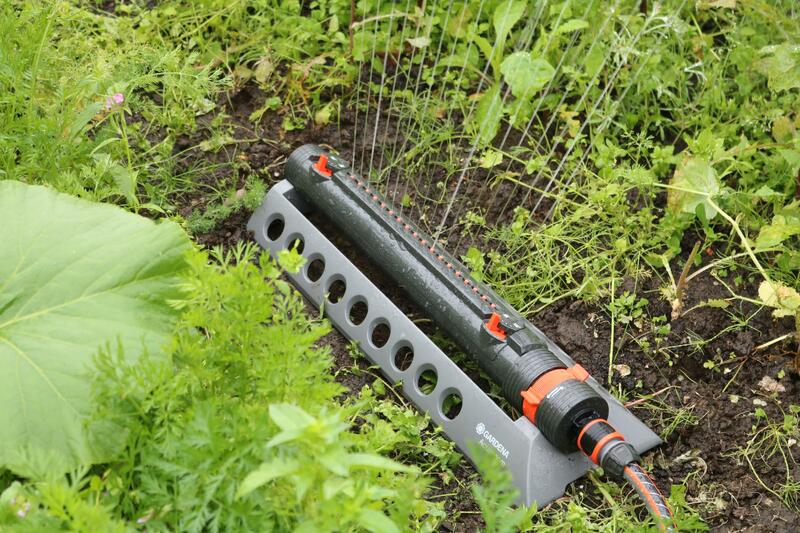 I can weed the flower bed whilst the sprinkler waters the vegetable beds, dead head the rose, tidy the fruitcage and make comfrey fertiliser to name but a few. 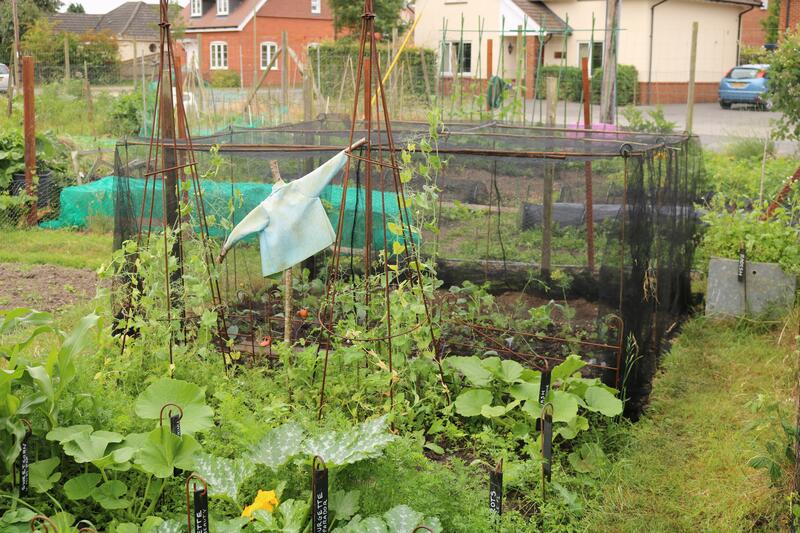 So that’s just what I did when I popped up the allotment one evening last week. 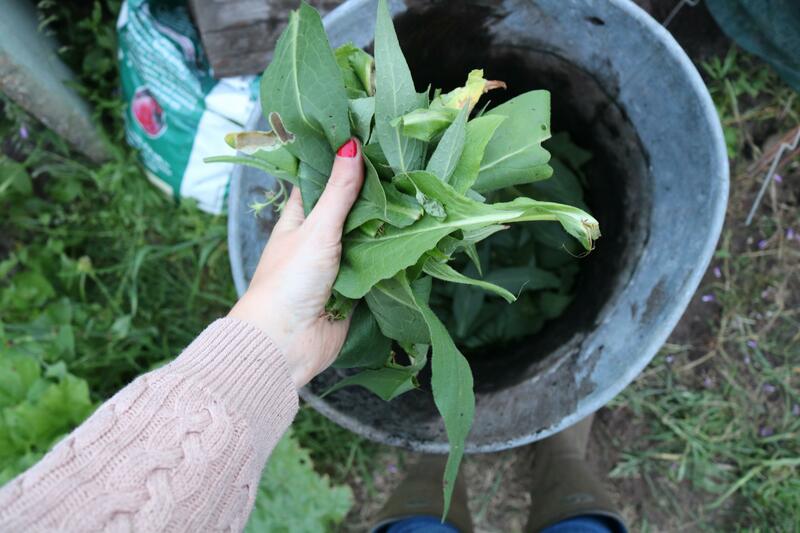 I set the sprinkler up and got to work making some comfrey fertiliser, something so easy and simple to make but it will give so much more back. Jam packed with nutrients but especially potassium, simply dilute the finished liquid down to 10 parts water 1 part fertiliser and your flowers and fruit will thrive. 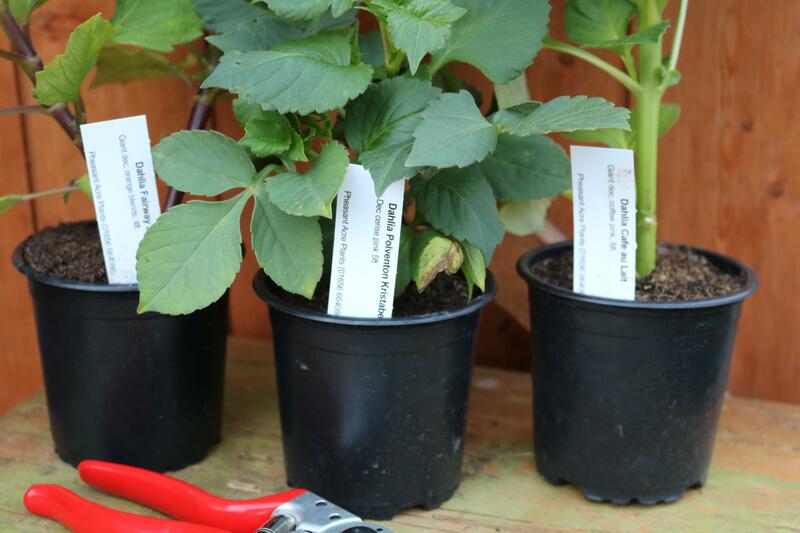 I also planted out my three dahlias which arrived whilst I was in Wales, the varieties are ‘Cafe au Lait’, ‘Polventon Kristobel’ and ‘Fairway Spur’. I can’t wait to see these burst into life with those stunning flowers, my first time growing dahlias and I am a tad excited! The butternut Squash ‘Hunter’ also got planted out into the trough and I’m crossing my fingers that the harvest is as good as last years. 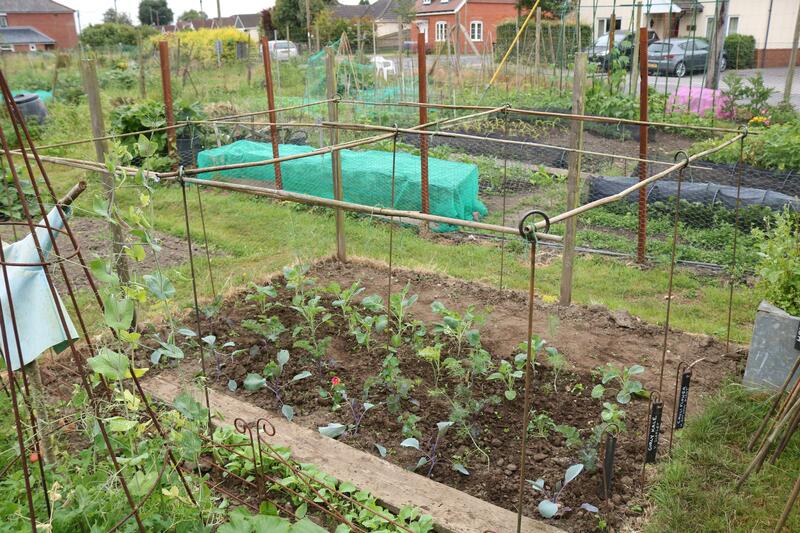 Next on the list of jobs to do and one that was very important was to erect the brassica cage and put the netting on so that all my little brassica seedlings could be protected from the birds and butterflies alike. 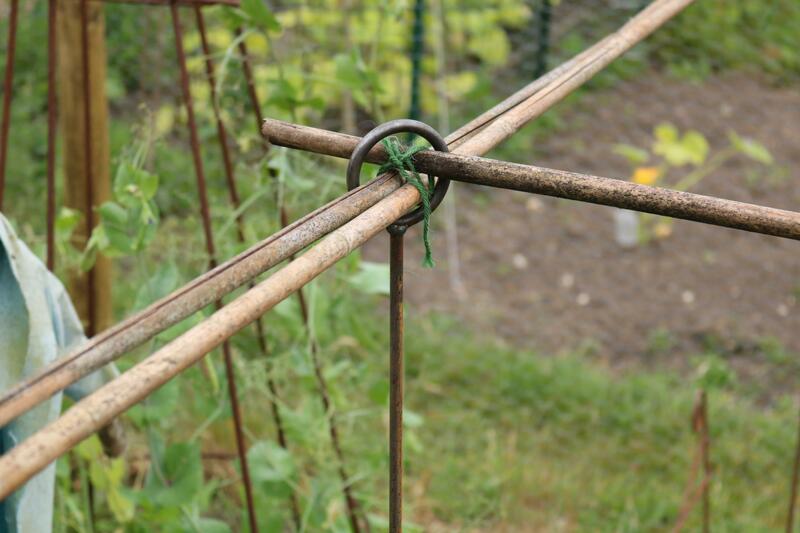 My Dad has been busy making us these really handy poles which simply push into the ground and then bamboo canes are threaded through to create the cage frame. 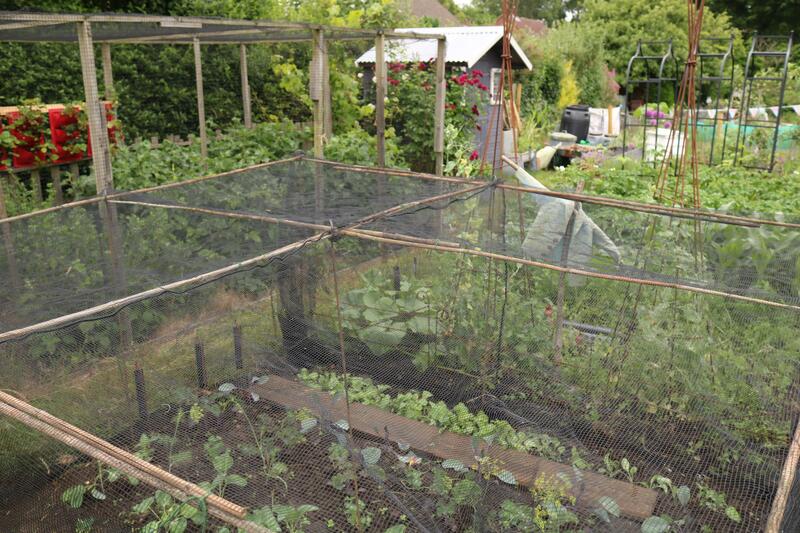 I then re use my old butterfly netting to drape over the cage and secure into place using wire pegs. For the past 4 years this set up has protected my brassicas from any pests and I’m just so happy to have a brassica bed again this year! 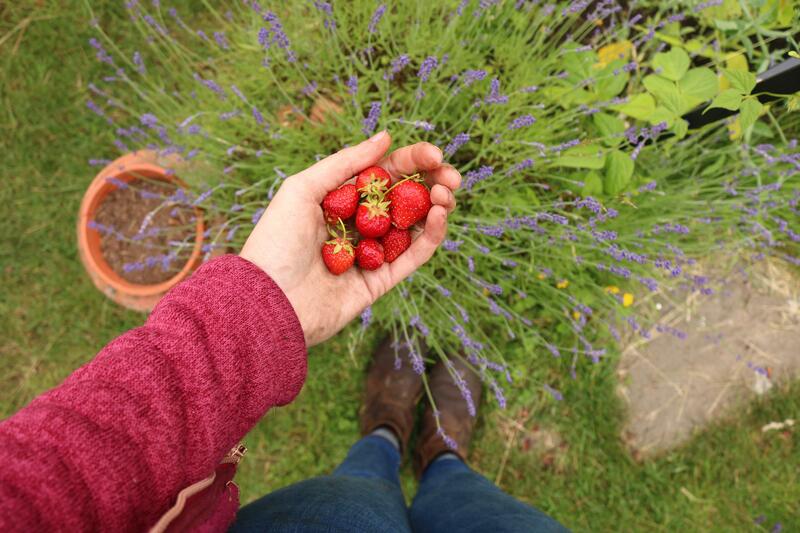 Only then when all the jobs had been completed I sat down with a cup of tea and some freshly picked strawberries in my old (but new to me!) deckchair. I just couldn’t resist it when I saw it at a market so when I bought it I made a mental note to actually make the time this Summer to sit down and enjoy the allotment. Every time I visit the plot I’ve been rushing around to get jobs ticked off the list and to be honest it’s been stressing me out a little. 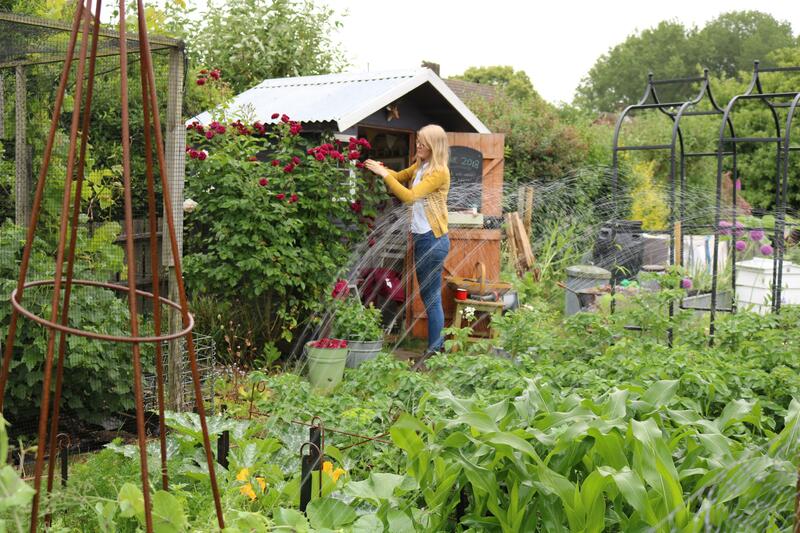 It’s June already and the allotment is in full growing swing right now, everything is looking so green and bursting with life and I really don’t want to miss it. 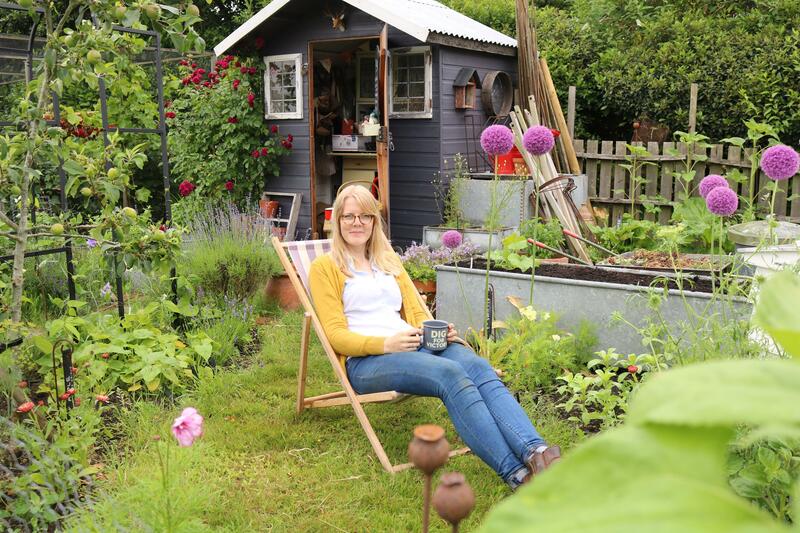 So this Summer I’m going to make an effort to head up the allotment at least one morning or evening a week just to sit there and enjoy it, not to do any jobs or weeding, just to sit there and take it all in. 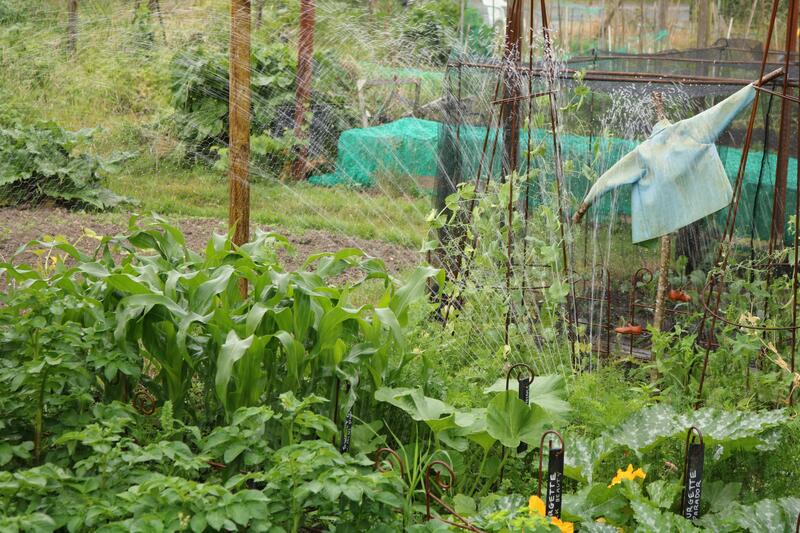 Thanks to my Gardena sprinkler I’ll have more time to do just that and I can’t wait, I love my little allotment so very much and so far this year it’s been growing beautifully! Really impressed with dads ideas he is so good at it ,can you please tell be if the brassica supports in your picture will be available at theToby Buckland Forde Abbey Garden Festival and how much they will be . Really appreciate the time and efforts you and dad make to do all this , a huge THANK YOU. 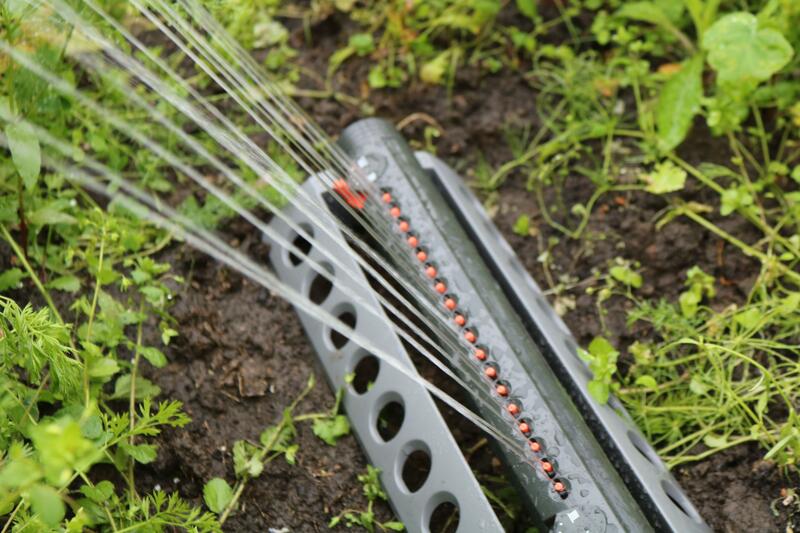 With this weather lately I think we definitely need a sprinkler – my veg garden is wilting from me forgetting to water it all the time and our grass is dead! 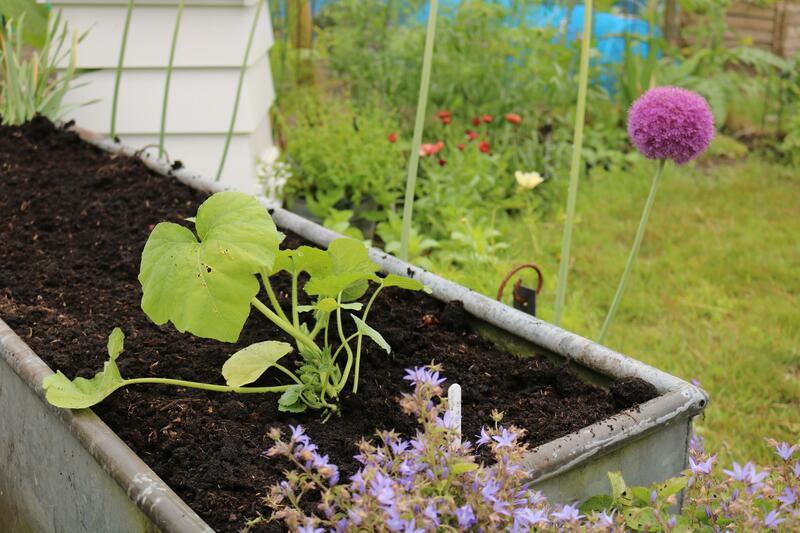 I really need to do something with my kale too – it’s the only brassica I’m growing this year in a bed of salad things, and the cabbage whites have been nibbling at it the past couple days!